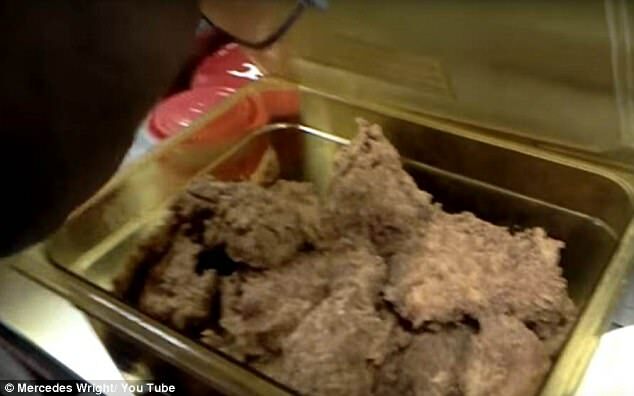 This gruesome YouTube video shows employees at a KFC branch in America exposing what happens behind the scenes - and it's not pretty. 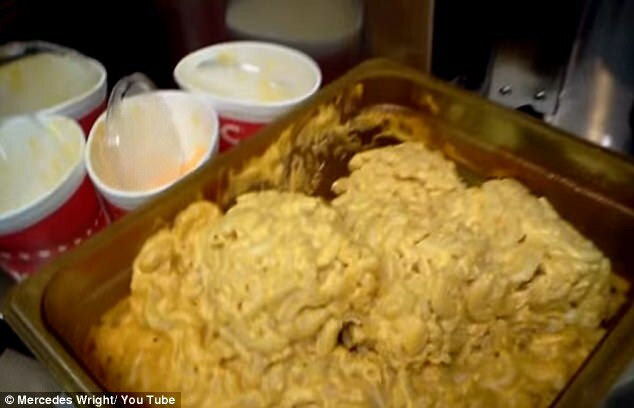 It allegedly exposes the disgusting way they re-use dirty mac-and-cheese cups, freeze chips in old water and sell old chicken "covered in mildew and mould". 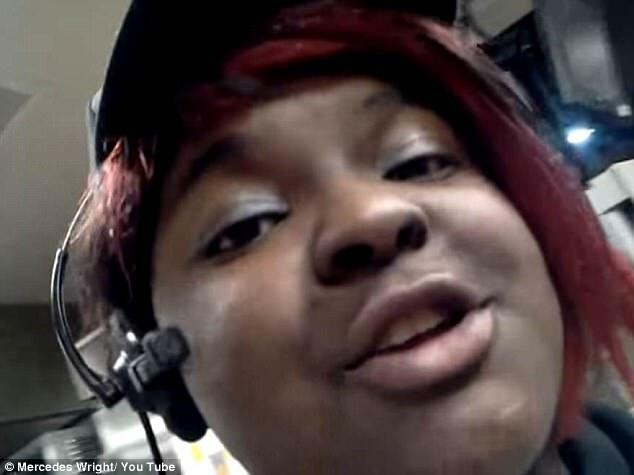 In the footage an employee starts filming a colleague as he's closing up for the day, saying: "So what do you want the world to know about KFC?" He can be seen lifting a bowl of chips from the fridge which are already swimming in murky looking water, before reaching for some old cups. "So you mean to tell me, the same stuff you have in those cans all day, you put in the freezer and sell it to people tomorrow?" 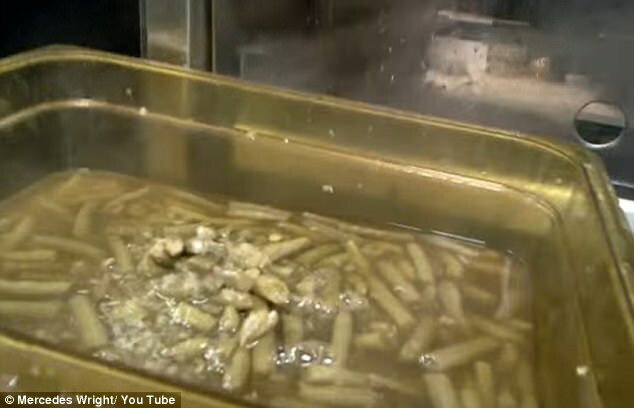 the woman asks her colleague - who is splashing more grey coloured water over the chips. 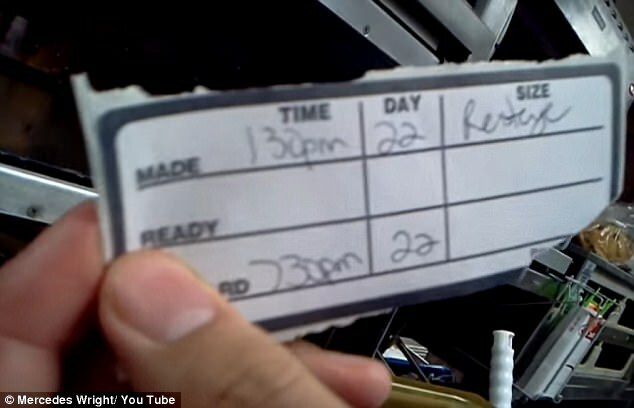 He replies, claiming: "I don't know why we do it. It's cross-contaminated." 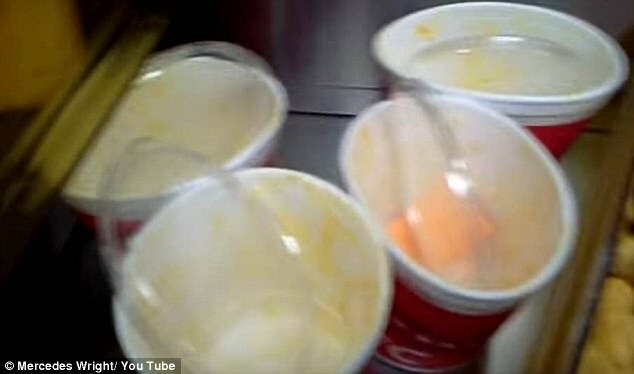 She then moves the camera over to a big pot of burnt mac-and-cheese next to empty, used cups - which she claims 'will be recycled for tomorrow'. Clearly distressed, he shows the camera a bowl of green beans which appear to be turning an unpleasant shade of grey and look like they've seen better days. "These have been here for three to four days," he claims. And the horror isn't over yet. 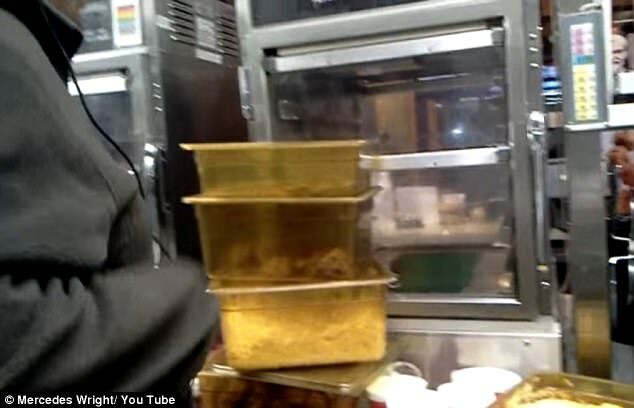 He then shows the camera two tubs of fried chicken - one which he says has been there since 1.30pm that day and the other which was fried at around 4.30pm - which he claims will be re-sold tomorrow. A man can be seen smelling the chicken and scrunching his nose, as he admits: "Mmmm, that's not great." "Just think, there must be mold and mildew growing there," the woman claims. She turns the camera to her face and says: "Well, that's all you need to know." The video was posted on YouTube with the title KFC Exposed 2017 - and while the people in the video show their faces it is not exactly clear where the branch is. One post says: "Maybe your franchise is just disgusting with no moral but you guys do not represent that business well."